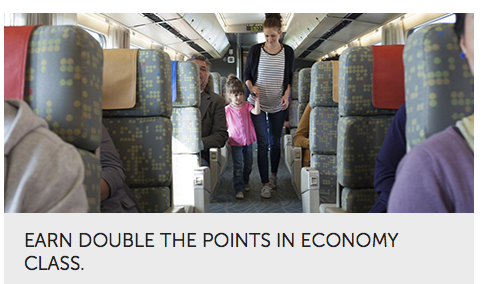 VIA Rail Preference is one of those programs we try to track here on Rewards Canada and haven't doesn't so well with doing so! We are trying to change that and that starts with this new offer of Double Points in their Preference program for travel in Economy Class during the month of September. With that said however there are also two promotions of Triple Points for travel on the Ocean or the Canadian until the end of September. So if you travels on VIA take you on either of those two be sure to register for them by September 15th. This offer for Double Points also requires registration and when you click through the link below you may not actually see the offer until you log in upon which the offer should appear and have a registration button.